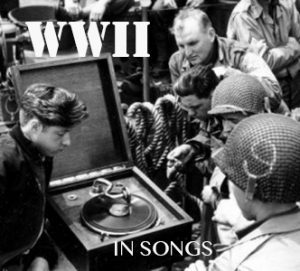 Swedens neutrality can be argued therefor it might not bet that strange that a song named ”My Soldier” or in Swedish ”Min soldat” was the biggest hit in Sweden during those years. In ”Min soldat”, a woman is thinking of her fiance who is a soldier ”somewhere in Sweden” (”någonstans i Sverige”). She recalls how fashionable he was in comparison to the photograph she got of him in an ill-fitting uniform. He has also told her that they cannot afford to get married this year. And when he arrived yesterday on leave he took her to a dance, but was so tired that he fell asleep at the table. She doesn’t mind tho’, after all he is her ”soldier somewhere in Sweden”. In many ways this is about the various relationships and bonds the northern countries have with each other. Which has formed over a long history. In short it goes like this: Denmark was for a long time the biggest and most dominante nation formed before all the others. They had Sweden and Norway. We broke away in something that could be resembled to when the Americans broke away from Britain (they taxed us a lot for shipping though that narrow gasp where the baltic leads into the Nordic sea). They still had Norway for a while, until we took it. Norway became its own country as late as the early 1900s. And that is why todays Nobel peace price is handed out by Norway. When Alfred Nobel wrote his will, which started the Nobel prize, Norway was still part of Sweden. Sweden, Norway and Denmark have similarities in their language. The Finns speaks alien. I know that the other Scandinavian countries find the Finns to be a bit like the strange cousin from the country side. But Swedens relationship with Finland is very different. As with Norway, Finland was Swedish for a long time. Until they finally became their own country. After years and years of going back and forth between Sweden and Russia. Russia (and Denmark) has been the natural enemy of Sweden for among other things this reason. Sweden fought many battles with the Russians and the suspicion towards them lingers very much to this day. This fact plays a huge role for the first act of walking that edge. Russia attacks Finland in the Winter War on 30 November 1939. Officially we didn’t want to get involved. But everyone knew that ”Finlands cause is our cause”. That is a saying we have that has survived since then. Swedish soldiers went there, we also sent financial aid and air planes to help the them out. In April 1940 during Operation Weserübung Germany occupy Denmark and Norway. Which made Sweden a bit uneasy. Were they gonna take them too? on 22 June 1941 the Germans starts operation Barbarossa and invade Russia. A few weeks later the midsummer crisis starts. Germany and Finland demands that Sweden allow the transit of the Wehrmacht’s 163rd Infantry Division by railroad from Norway to Finland. This is the second act. If we refuse, Germany will most likely invade us. So Sweden abided. Which has been the cause of a lot of shame for the nation since then. Initially both Denmark and Norway thought of us a something of a bunch of cowards too. Another thing that Swedes are ashamed of is that they exported a lot of iron ore to Nazi Germany. Swedish iron ore was an important economic factor in the European part of the war. Winston Churchill even pushed for the British government to take military action to end the trade. Those are the bad things. But Sweden also cooperated with the allies during the war. We shared military intelligence and helped train soldiers made up of refugees from Denmark and Norway. They were later used in the liberation of their countries. Sweden also allowed the Allies to use our airbases from 1944. Sweden also became a refuge for anti-fascist and Jewish refugees from all over the region. In 1943, following an order to deport all of Denmark’s Jewish population to concentration camps, nearly all of Denmark’s 8 000 Jews were brought to safety in Sweden. Sweden also became a refuge for Norwegian Jews who fled from Nazi occupied Norway. Sweden also took in ”war children” from our neighboring countries, including the baltic states. Neutrality also made it possible for Sweden to have access to Germany, which was not only useful to Swedish intelligence but to Allied intelligence as well. Employees at big Swedish companies acted as couriers for the Polish resistance. 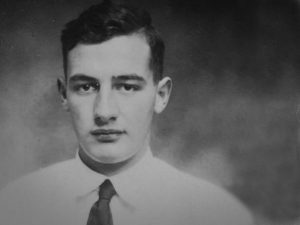 Raoul Wallenberg saved lots of jews from the nazis by issuing ”false” passports allowing them to escape to Sweden. On January 17th 1945, Wallenberg was detained by Soviet SMERSH on suspicion of espionage and disappeared. He was later reported to have died on 17 July 1947 while imprisoned by the KGB. Count Folke Bernadotte and Valdemar Langlet saved about 15 000 prisoners each. And most famous of them all Raoul Wallenberg, who may have saved up to 100,000 Hungarian Jews. Raoul is regarded as one of Swedens biggest heroes ever and has a number of squares named after him. The other picture is of Swedish volunteers fighting for Finland in 1940. So in the end, I would defend the Swedish prime ministers decision to ”play” both sides. The option would have been a German invasion and the choice of exporting iron ore or transporting troops wouldn’t have been a choice at all, it would have been a fact. By keeping neutral Sweden could also save thousands and thousands of lives.